“About 3 out of 10 people have a change in the structure of their brains that causes the electrical storms of seizures. Idiopathic seizures are those whose cause is unknown. Unfortunately, about 6 out of 10 seizures are idiopathic. 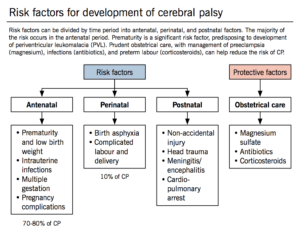 Part III Cerebral Palsy – How it’s diagnosed and treated! Most children with cerebral palsy are diagnosed during the first 2 years of life. But if a child’s symptoms are mild, it can be difficult for a doctor to make a reliable diagnosis before the age of 4 or 5. There are different types of CP affecting different muscle regions of the body. See above for details. Doctors will order a series of tests to evaluate the child’s motor skills. During regular visits, the doctor will monitor the child’s development, growth, muscle tone, age-appropriate motor control, hearing and vision, posture, and coordination, in order to rule out other disorders that could cause similar symptoms. Although symptoms may change over time, CP is not progressive. If a child is continuously losing motor skills, the problem more likely is a condition other than CP—such as a genetic or muscle disease, metabolism disorder, or tumors in the nervous system. Lab tests can identify other conditions that may cause symptoms similar to those associated with CP. Cranial ultrasound uses high-frequency sound waves to produce pictures of the brains of young babies. It is used for high-risk premature infants because it is the least intrusive of the imaging techniques, although it is not as successful as computed tomography or magnetic resonance imaging at capturing subtle changes in white matter—the type of brain tissue that is damaged in CP. Computed tomography (CT) uses x-rays to create images that show the structure of the brain and the areas of damage. Magnetic resonance imaging (MRI) uses a computer, a magnetic field, and radio waves to create an anatomical picture of the brain’s tissues and structures. MRI can show the location and type of damage and offers finer levels of details than CT.
Another test, an electroencephalogram, uses a series of electrodes that are either taped or temporarily pasted to the scalp to detect electrical activity in the brain. Changes in the normal electrical pattern may help to identify epilepsy. Some metabolic disorders can masquerade as CP. Most of the childhood metabolic disorders have characteristic brain abnormalities or malformations that will show up on an MRI. Other types of disorders can also be mistaken for CP or can cause specific types of CP. For example, coagulation disorders (which prevent blood from clotting or lead to excessive clotting) can cause prenatal or perinatal strokes that damage the brain and produce symptoms characteristic of CP, most commonly hemiparetic CP. Referrals to specialists such as a child neurologist, developmental pediatrician, ophthalmologist, or otologist aid in a more accurate diagnosis and help doctors develop a specific treatment plan. Cerebral palsy can’t be cured, but treatment will often improve a child’s capabilities. Many children go on to enjoy near-normal adult lives if their disabilities are properly managed. In general, the earlier treatment begins, the better chance children have of overcoming developmental disabilities or learning new ways to accomplish the tasks that challenge them. Physical therapy, usually begun in the first few years of life or soon after the diagnosis is made, is a cornerstone of CP treatment. Specific sets of exercises (such as resistive, or strength training programs) and activities can maintain or improve muscle strength, balance, and motor skills, and prevent contractures. Special braces (called orthotic devices) may be used to improve mobility and stretch spastic muscles. Treatments for problems with eating and drooling are often necessary when children with CP have difficulty eating and drinking because they have little control over the muscles that move their mouth, jaw, and tongue. They are also at risk for breathing food or fluid into the lungs, as well as for malnutrition, recurrent lung infections, and progressive lung disease. Oral medications such as diazepam, baclofen, dantrolene sodium, and tizanidine are usually used as the first line of treatment to relax stiff, contracted, or overactive muscles. Some drugs have some risk side effects such as drowsiness, changes in blood pressure, and risk of liver damage that require continuous monitoring. Oral medications are most appropriate for children who need only mild reduction in muscle tone or who have widespread spasticity. Botulinum toxin (BT-A), injected locally, has become a standard treatment for overactive muscles in children with spastic movement disorders such as CP. BT-A relaxes contracted muscles by keeping nerve cells from over-activating muscle. The relaxing effect of a BT-A injection lasts approximately 3 months. Undesirable side effects are mild and short-lived, consisting of pain upon injection and occasionally mild flu-like symptoms. BT-A injections are most effective when followed by a stretching program including physical therapy and splinting. BT-A injections work best for children who have some control over their motor movements and have a limited number of muscles to treat, none of which is fixed or rigid. Orthopedic surgery is often recommended when spasticity and stiffness are severe enough to make walking and moving about difficult or painful. For many people with CP, improving the appearance of how they walk – their gait – is also important. Surgeons can lengthen muscles and tendons that are proportionately too short, which can improve mobility and lessen pain. Tendon surgery may help the symptoms for some children with CP but could also have negative long-term consequences. Orthopedic surgeries may be staggered at times appropriate to a child’s age and level of motor development. Surgery can also correct or greatly improve spinal deformities in people with CP. Surgery may not be indicated for all gait abnormalities and the surgeon may request a quantitative gait analysis before surgery. Surgery to cut nerves. Selective dorsal rhizotomy (SDR) is a surgical procedure recommended for cases of severe spasticity when all of the more conservative treatments – physical therapy, oral medications, and intrathecal baclofen — have failed to reduce spasticity or chronic pain. A surgeon locates and selectively severs overactivated nerves at the base of the spinal column. SDR is most commonly used to relax muscles and decrease chronic pain in one or both of the lower or upper limbs. It is also sometimes used to correct an overactive bladder. Potential side effects include sensory loss, numbness, or uncomfortable sensations in limb areas once supplied by the severed nerve. Assistive devices such devices as computers, computer software, voice synthesizers, and picture books can greatly help some individuals with CP improve communications skills. Other devices around the home or workplace make it easier for people with CP to adapt to activities of daily living. Orthotic devices help to compensate for muscle imbalance and increase independent mobility. Braces and splints use external force to correct muscle abnormalities and improve function such as sitting or walking. Other orthotics help stretch muscles or the positioning of a joint. Braces, wedges, special chairs, and other devices can help people sit more comfortably and make it easier to perform daily functions. Wheelchairs, rolling walkers, and powered scooters can help individuals who are not independently mobile. Vision aids include glasses, magnifiers, and large-print books and computer typeface. Some individuals with CP may need surgery to correct vision problems. Hearing aids and telephone amplifiers may help people hear more clearly. Part II Cerebral Palsy – The symptoms that can occur with this disease! 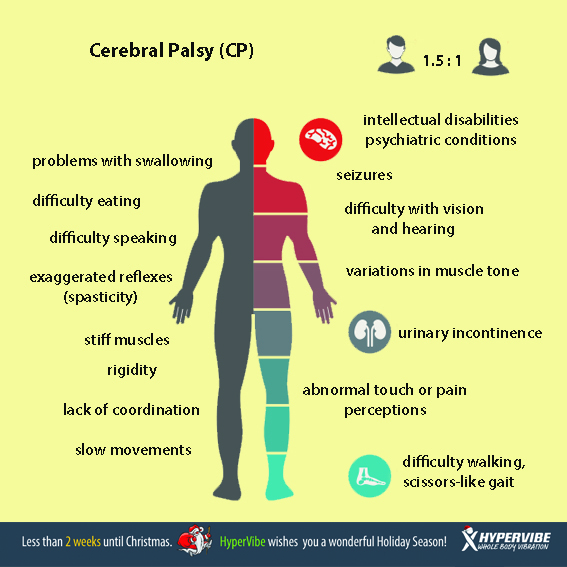 THE SYMPTOMS YOU CAN COME ACROSS WITH CP: It all depends what area of the cerebral cortex has been damaged with what extent. In some cases, the cerebral motor cortex hasn’t developed normally during fetal growth. In others, the damage is a result of injury to the brain either before, during, or after birth. In either case, the damage is not repairable and the disabilities that result are permanent. The symptoms of CP differ in type and severity from one person to the next, and may even change in an individual over time. Symptoms may vary greatly among individuals, depending on which parts of the brain have been injured. All people with cerebral palsy have problems with movement and posture, and some also have some level of intellectual disability, seizures, and abnormal physical sensations or perceptions, as well as other medical disorders. People with CP also may have impaired vision or hearing, and language, and speech problems. CP is the leading cause of childhood disabilities, but it doesn’t always cause profound disabilities. While one child with severe CP might be unable to walk and need extensive, lifelong care, another child with mild CP might be only slightly awkward and require no special assistance. The disorder isn’t progressive, meaning it doesn’t get worse over time. However, as the child gets older, certain symptoms may become more or less evident. Remember, No two cases are the same! Varying degrees of injury to different parts of the brain mean that no two children with Cerebral Palsy are exactly alike. Some are so slightly affected that they have no obvious disability. Others may be severely disabled – to the extent that they have limited movement in both arms and legs, are unable to speak, feed themselves or control bladder and bowel movements. Such children will require lifelong care. 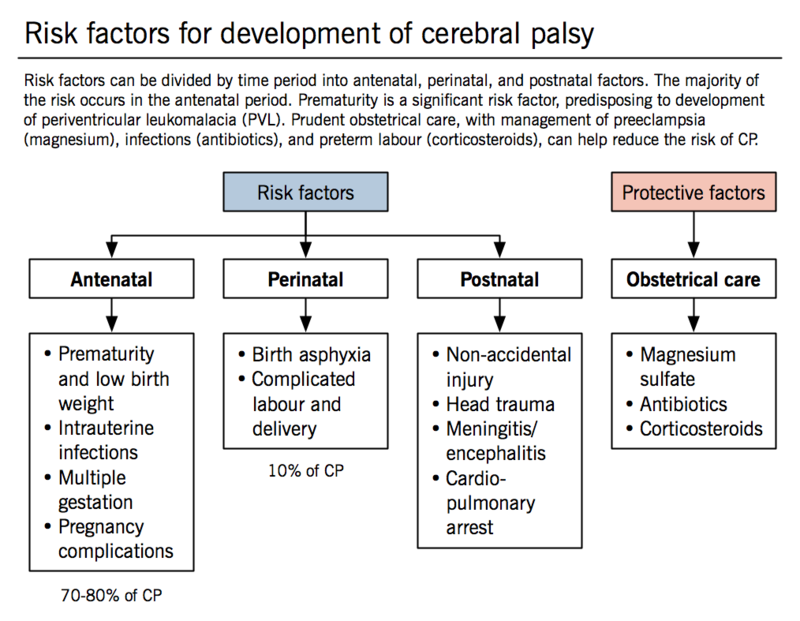 Cerebral Palsy is a damage to a part of the brain and depending where the damage is will tell what symptoms to expect but for starters lets understand what is affected by this disease. 1=Cerebrum is for thinking, muscular functioning both in our control (ex.muscle movement of our extremities) and not in our control (ex. the indicating of neuro=stimulation to tell the brain it’s time to urinate through neuro impulses from the bladder to the brain who tells us get up and go to the bathroom but through out muscle control we hold it till we get to the toilet). 2= Cerebellum for is for balance. Cerebellar damage produces disorders in fine movement, equilibrium, posture, and motor learning in humans. The nervous system is important to control and coordinate all the actions of an organism and transmit signals between different parts of the body. The system is basically made up of specialized cells called neurons. The complexity of the nervous system increases with the complexity of the body of organisms. Most primitive animals like sponges, flatworms have a very simple nervous system while advanced animals like vertebrates have a highly complex nervous system with larger brains. Brain is one of the largest and most amazing organs in an organism that can be categorized under the central nervous system. The human brain can be divided into three categories, namely, forebrain, midbrain and hindbrain. Both the cerebrum and cerebral cortex come under the forebrain. Cerebrum is the largest and most prominent part of the human brain. It appears to envelop the rest of the brain as it constitutes 4/5 of its weight. It is split longitudinally into two large, prominent hemispheres; left and right by deep median fissure called ‘cerebral fissure’. These two hemispheres are connected through a horizontal sheet of nerve fibers known as corpus callosum. Each hemisphere is further divided into the frontal, parietal, temporal, and occipital lobes by three deep fissures, namely, central, parieto-occipital and sylvian fissure. Each hemisphere receives sensory input from the contra lateral side of the body and exerts motor control over that side. The basic function of the cerebrum is to control voluntary functions and seat of intelligence, will power, memory, reasoning, thinking, learning, emotions, speech etc. The cerebrum is made up of 5 regions. It deals with our sensory and motor and thinking function. The layer of gray matter, about 2 to 4 mm thickness, on the outer surface of the cerebrum is called the cerebral cortex. In humans, the cerebral cortex is densely packed with over 10 billion nerve cells (about 10% of all the neurons in the brain) and, therefore, much of the neural activities of the cerebrum take place within this layer. The outer surface of the cerebral cortex is highly convoluted (twisted or coiled and involved), and this convoluted surface increases the surface area of the cerebral cortex. The ridges of these convolutions are called ‘gyri’ and depressions between them as ‘sulci’. Each region is responsible for a particular function. According to the function or activity, the regions of the cerebral cortex can be divided into three general categories motor, sensory, and associative (they work together). The motor cortex is generally associated with the movement of body parts and sensory cortex such as auditory cortex, visual cortex etc. is associated with sensory organs. There is a portion of the cerebral cortex which is not occupied by motor and sensory cortices, known as the ‘association cortex’. This region is devoted for higher mental activities, so that in higher primates, especially in humans, it covers 95% of the total cerebral cortex surface. What is the difference between Cerebrum and Cerebral Cortex? Cerebral cortex is a part of the cerebrum. Cortex means the outer region of an organ. Cerebrum is the largest and most prominent part of the brain (it makes up 4/5 of the brain). Cerebral Cortex is the outer layer of the cerebrum. Cerebrum has both gray and white matter while the gray part of it is considered the cerebral cortex. Human cerebral cortex is made up of approximately 10 billion nerve cell bodies and their dendrites=the branching process of a neuron that conducts impulses toward the cell to allow a function to take place that the cerebral cortex does; whereas the cerebrum has both cell bodies and nerve fibers. 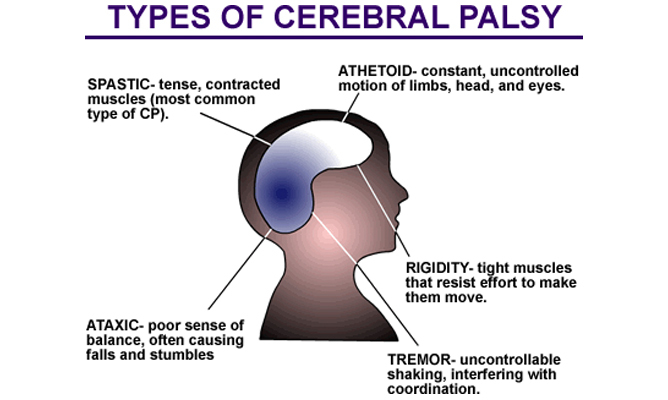 The part affected in Cerebral Palsy is the Cerebral Cortex. Cerebral palsy (CP) refers to a group of neurological disorders that appear in infancy or early childhood and permanently affect body movement and muscle coordination Cerebral palsy (CP) is caused by damage to or abnormalities inside the developing brain that disrupt the brain’s ability to control movement and maintain posture and balance. The term cerebral refers to a part of the brain=cerebrum; palsy refers to the loss or impairment of motor function (in varying intensities). Remember each pt diagnosed with this is unique with problems and intensities but maybe similar to some who have it also. Cerebral Palsy is a condition in which there may be abnormal brain development or injury to the brain as it develops. This can occur before, during, after birth or during early childhood. It is the brain’s control over various sensory, muscle or co-ordination functions that is affected. So, although there is no injury to the hands or legs themselves, a child with Cerebral Palsy may not be able to walk or move his or her hands in a co-ordinated purposeful way. Depending on which part of the brain is affected, the Cerebral Palsied person may not be able to talk, see, hear or understand normal thought processes. Children with Cerebral Palsy have difficulties in controlling muscles and movements as they grow and develop. The nature and extent of these difficulties may change as children grow but Cerebral Palsy itself is not progressive: the injury or impairment in the brain does not change. However, the effects of the brain injury on the body may change over time for better or worse. Physiotherapy and other therapies can often help people with Cerebral Palsy reach their full potential and become more independent. Therefore, children with Cerebral Palsy will often be referred to a therapist or see a multi-disciplinary team. 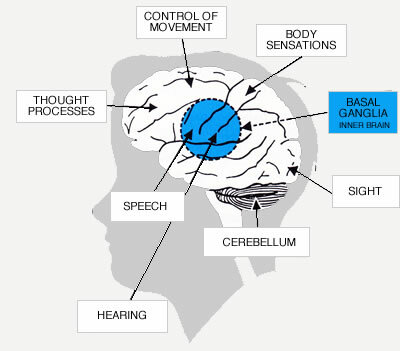 Depending on the precise area of the brain that is affected, there may be associated difficulties which become obvious during development; for example, in vision, hearing, learning and behaviour. THERE ARE NO 2 CASES THAT ARE THE SAME!